Davina Bell is a writer from Western Australia. For six years she was a senior editor at Penguin Books in the Young Readers Division. Davina lives and works in Melbourne. 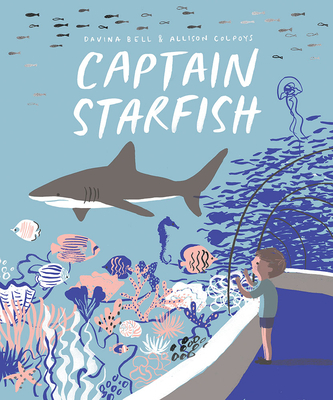 "Colpoys’s stylish, silkscreen-style illustrations use contrasting shades of sea green, deep blue, and bright pink to represent both the real world and Alfie’s rich interior life." "Alfie's success, aided by loving and patient parents, provides a model for children struggling with anxiety and assures them of their ultimate worth and capability. This gentle story ably helps fill a need in children's literature and will help comfort small audiences with their own big fears." "The unconditional acceptance of Alfie’s parents makes this book unique and may prove assuring to children of similar character. An excellent choice for one-on-one sharing." "Learning to be brave can take time, and readers will empathize with Alfie’s slow progress toward that goal."